This weekend I attended my friend Meera’s Madhatter themed bridal shower. 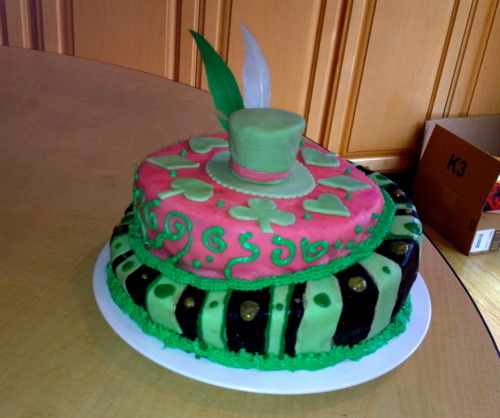 She asked me to make her a whimsical and fun cake incorporating floral flavors in green, pink, and black. To assemble the crooked cakes, I used the 10 inch and 8 inch Mad Dadder’s crooked cake pans. I highly recommend them if you are looking to create this effect. 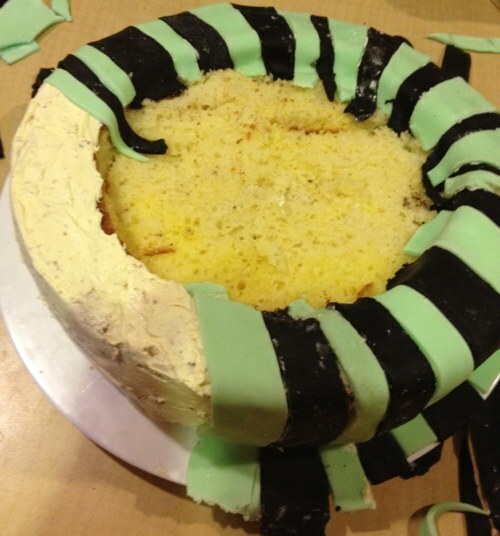 After the 10 inch cake was cooled, I cut out an 8 inch circle in the center of the sloping part of the larger cake. Then, I frosted the bottom layer with the buttercream and used fondant strips to cover the base. Here is a picture of the process. 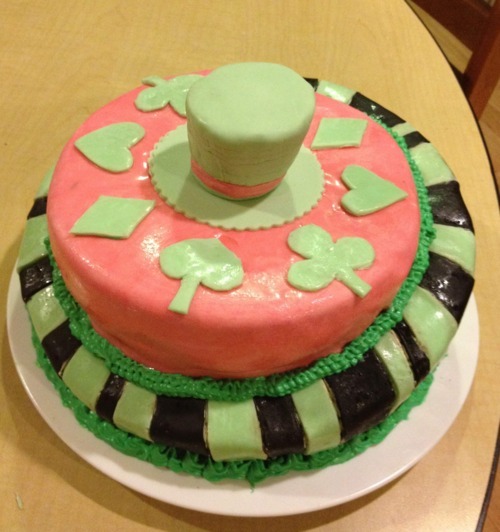 After doing this, the next layer was frosted and covered in a single sheet of pink fondant. Then the hat was made using fondant and secured in place by a wooden skewer. Various piping tips were used to do the borders around each tier of the cake. Here’s a picture before most of the decorations were added.